Adan Reyes will do anything to escape the abusive foster care system in Phoenix, even leaving his good friends and successful high school athletic career behind him. Ill-prepared for surviving the desert, Adan hits the road only to suffer heat stroke. Found by a local handyman, he catches a glimpse of a mysterious girl–Rose–running through town, and follows her into the mountains where they are both tracked and discovered by the men of the FLDS community. Anne Butler Montgomery has worked as a television sportscaster, newspaper and magazine writer, teacher, amateur baseball umpire, and high school football referee. Her first TV job came at WRBL‐TV in Columbus, Georgia, and led to positions at WROC‐TV in Rochester, New York, KTSP‐TV in Phoenix, Arizona, and ESPN in Bristol, Connecticut, where she anchored the Emmy and ACE award‐winning SportsCenter. She finished her on‐camera broadcasting career with a two‐year stint as the studio host for the NBA’s Phoenix Suns. Montgomery was a freelance and/or staff reporter for six publications, writing sports, features, movie reviews, and archeological pieces. Her novels include: The Scent of Rain, Nothing But Echoes, and A Light in the Desert. Montgomery teaches journalism at South Mountain High School in Phoenix, is a foster mom to three sons, and is an Arizona Interscholastic Association football referee and crew chief. When she can, she indulges in her passions: rock collecting, football officiating, scuba diving, and playing her guitar. Visit https://annemontgomerywriter.com/ for more information. 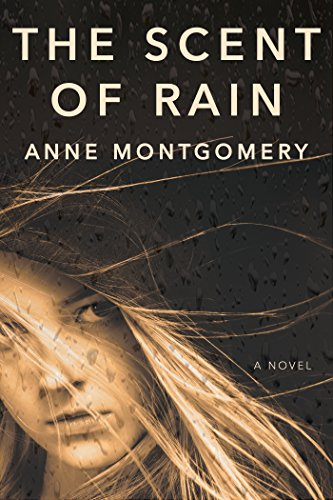 This entry was posted in Uncategorized and tagged Anne Montgomery, Arizona, author, AZ, Chef, expert, Foster Mom, freelance, mother, novel, passion, Phoenix, purpose, referee, Today's Honoree, writer. Bookmark the permalink.